What can be more versatile and compress if you use a Duo Ultra Salt & Pepper Grinder in one. Yup, if you do have limited space in your cover the best thing you have to acquire is the Salt & Pepper Grinder. It is not only convenient to have but, also having both in one container would save you time to carry two things at one. Plus, save you more space for the other spice in the covers. This elegant stainless-steel construction has a powerful, eco-friendly ceramic gears for you to use. Space-saving and has a sturdy design that would last longer. One thing I do love the most is the easy way to refill with no screwdriver or other tools needed. The dual knobs would serve as the easy crush adjustments. The length also doesn't bother me as it is just the way I like it, not too long and not too short just about the right dimension. If you want to learn how to use the grinder without wrecking the whole thing, the instruction manual is very helpful that comes with it. 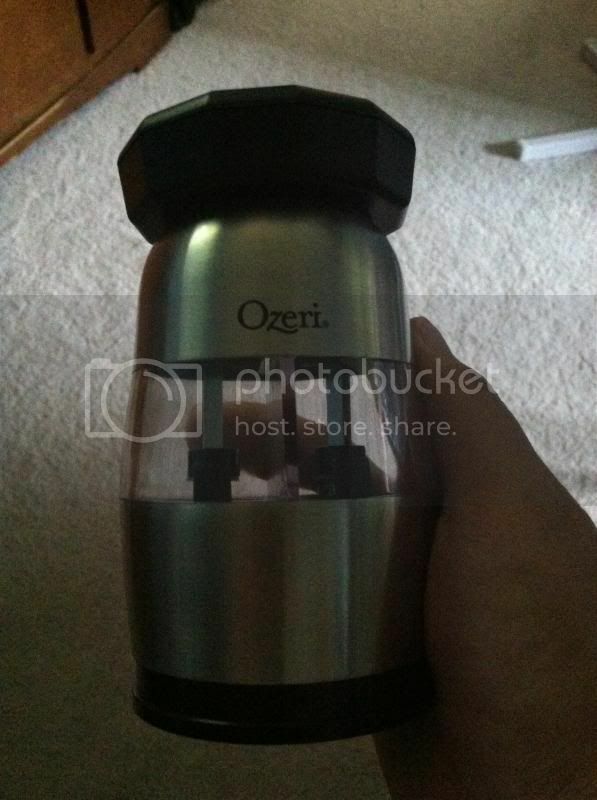 The item can purchase through Amazon, and can also be viewed through Ozeri's Facebook page. I always love the best product to share with my family and friends and the Salt & Pepper Grinder is indeed one of them, I would recommend this to anyone. This is NOT a sponsored post. I received the Salt & Pepper Grinder, Duo Ultra product from Ozeri for free in exchange of my honesty review.